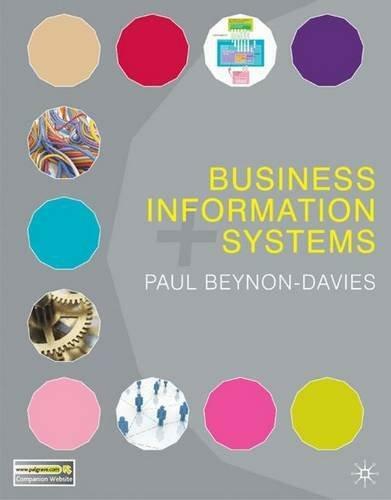 245 1 0 %a Business information systems / %c Paul Beynon-Davies ; consultants, Bob Galliers, Chris Sauer. 260 %a Basingstoke, Hampshire ; %a New York, NY : %b Palgrave Macmillan, %c 2009. 300 %a XXVII, 482 s. : %b il. (w tym kolor.) ; %c 28 cm. 504 %a Bibliogr. s. 449-453. - Indeks.